With its vim and vigor, the 2018 Kia Soul may be just the sporty car you are looking for. Both the manual and automatic versions come with a 6-speed transmission and impressive horsepower to rev it into gear. Come test the new and improved version of the vehicle that won the award for Best New Family Car in the 2014 Canadian Car of the Year Awards and see what everyone is raving about. A four-cylinder engine doesn’t usually inspire much confidence as far as pep and pedal response go, but the Kia Soul uses every ounce of horsepower it has to spring into action, especially on models with the turbo feature. Adding the turbocharged engine bumps the standard 130 horsepower up to 201 without sacrificing its outstanding fuel economy. You can expect to get approximately 9.4 L/100 km in the city and 7.8 L/100 km on the highway, getting you farther less gas than comparable vehicles. 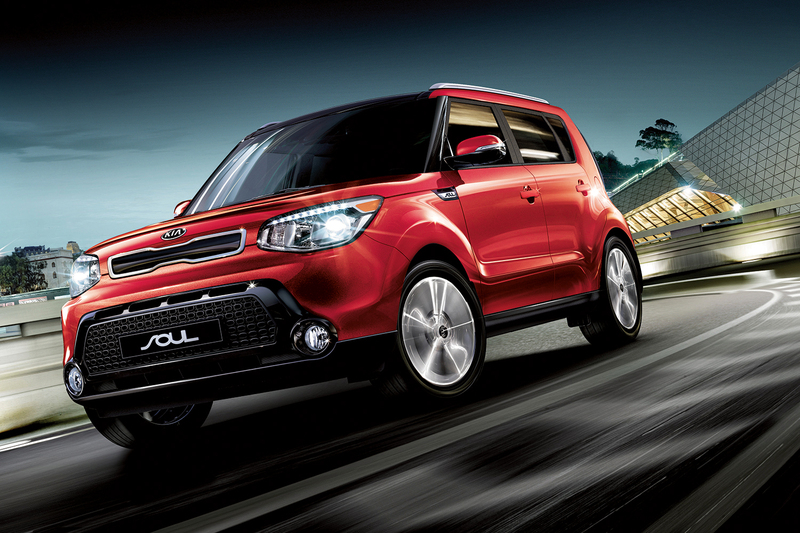 The Kia Soul is hard to miss. Its boxy shape not only sets it apart but also plays a practical role in giving all passengers more head room. It has comfortable seating for up to five people. The safety features of the Soul include a four-wheel antilock brake system, driveline traction control and stability control. With both head and side airbags, you and your passengers are safe in this vehicle. For further relaxation as you cruise down the road, take advantage of its ApplePlay® and Android Auto capabilities for all your infotainment needs. The friendly staff at Scarboro Kia are ready to help you get into the newest Kia Soul. The combination of performance, style and the low cost make this car a clear winner. You don’t have to take our word for it, though. Come in and test drive a new Kia. Indulge in the experience that many satisfied owners can’t stop talking about.